I love seeing download numbers. It’s great to read reviews. But my favorite thing by far is hearing that someone told others about my book. Word-of-mouth is the truest and most down-to-earth way that 13 Years in America is reaching people. It’s a grassroots, genuine sharing that’s happening because people want others to read my book. I love it! Of course the e-version of 13 Years in America is free, so it’s easy to share. I want it that way. I want people to have easy access and be able to share it effortlessly. The fact that they are is so rewarding. I know there are a zillion books out there, and I value people’s time. Thank you to those who have taken the time to read 13 Years in America … and an extra thank you to those who have put in the effort to tell others about it, recommend it, share it. It means a lot. Some would say I asked for it by writing 13 Years in America, in which I question many prevailing norms and values. They’d be right. I knew 13 Years in America would shake some people and offend others, and I chose to write it anyway. So I shouldn’t be surprised if some of the people who read my book are upset by it. Still, whether I asked for it or not, I was shaken by the e-mail I received the other day. Not because the person disagreed with what I say in my book, and not because the person was upset by my perspective. I was shaken because the person attacked me on a personal level. As I read through it, I was aware of the fact that in a way, I had welcomed this e-mail. By providing my real e-mail address at the end of my book and welcoming contact from readers, I had opened myself up to personal attacks. Hurt and upset by the e-mail, my first thought was to shut the account down. Remove access. But, tempting as that idea was, it didn’t feel right. I have worked hard to connect with readers in an honest, authentic way, and limiting communication would undermine that effort. Being open for communication, I realize, means more than welcoming fan mail. It requires taking a risk and being open to different opinions, perspectives, and personalities. It means taking the chance of being on the receiving end of someone’s rant and personal attacks. Real communication isn’t sugar-coated. It’s genuine and, sometimes, rude. It might not always be easy, but it’s real. So I’ll keep myself open to all communication in order to keep it real. Even the (hopefully one and only piece of) hate mail. When I wrote 13 Years in America I wasn’t focused on what I would do with it or who would read it when I was finished. As I wrote and edited my book, I was focused only on writing and telling my story. Then one day, it was done. My story was told, and it was ready to be shared. It took me two days to calm myself down after this realization. My heart raced and I could barely sleep; it was like a 48-hour panic attack. After spending months alone on my computer and sharing my work with a select few for feedback and edits, I suddenly found myself facing the frightening prospect of sharing my work with the world. I was about to leave the comfortable realm of writing for self and enter the world of sharing with others. That was new territory for me, and it opened up questions I hadn’t taken the time to consider before. How would I share my story? Who would read it? Would I make money off it? Would people like it? How would I know if it was successful? After some consideration, I decided to share my story electronically for free and just see what happens. I can only control the output, I decided, not the outcome. I had a story I was compelled to share, so I would provide free access and see what happens. If even one person is moved by it, I decided -- if even one person likes it -- it will have been worth it. I knew some people would think that was crazy. After all the time and energy I put into my book, would I really be happy with one person liking it? Yes, I decided, I would. Of course I hoped more people would read it and that it would make a difference in their lives and, ideally, in the world, but that wasn’t for me to say. How could I say that a million people were more valuable than one? I couldn’t. So, I prepared my work and shared it. I released it and held my breath. The first few days were the worst. I knew people were downloading it and reading it, but I had no idea if they were liking it or hating it. Then, an e-mail came. The subject was, “I love your book so much.” It was from a woman who was deeply moved by my story and inspired by the decisions I had made. I smiled and cried as I read her words. A total stranger had accessed my story and was moved by it. What more could I ask for? It’s amazing how much goes in to self-publishing. After the long, exhausting act of writing the book comes the long, exhausting process of getting the book to readers. There’s formatting and design and more formatting and websites and connections and, yes, more formatting. There’s long hours and dead ends and costs at every turn. The expense is something I hadn’t really anticipated. I live paycheck-to-paycheck, so any costs would cut into my grocery money. I didn’t want to shoulder the expense of sharing my story, after having shouldered everything involved in writing it. I needed a little help. I got it through a fundraising campaign on Kickstarter, an online funding platform for creative projects. Within a few hours of signing up, I had a page of my own that described my project, listed options for contributions, and offered small “rewards” for pledges, which included a thank you in my book and the chance to weigh in on cover designs. Then, I simply shared it on Facebook and let Kickstarter list it on their site. I received my funding, minus a reasonable administrative fee, soon after my campaign ended, and I used the money to do what I said I would do: create a website and pay to have my Word document converted into e-files that I could share for free. Fast, simple, and successful. I now had the money to step forward. But what I took away from my Kickstarter campaign was more than funding. Everything I was about to do was new and frightening: share my personal story with strangers, seek reviews from critics, open myself up for criticism. I believed in my work and was willing to take the risk, and now with the support of my Kickstarter backers, I felt like others believed in me too. In addition to funding, I had raised a vote of confidence, a show of support that I really needed before stepping into the intimidating, unknown world of self-publishing. It was something to hang on to as I stepped forward, and for that I’m grateful. It’s only recently that writers have faced this question. Traditionally, writers turned their work over to publishers, and the publishers set the price. But with the advent of online and e-book technology, independent writers can now set our own price. In fact, we can go as far as to give it away for free! Writers are being told that it's not their writing that matters, but rather how much profit agents and publishers think they can make off the writing. So, I turned in the opposite direction. I decided to spend my time and energy connecting with readers, not trying to jump through the industry’s hoops. Offering my book for free was my way of rebelling. It was a statement that my book was about more than money, and that I cared more about sharing my story than making money off it. I had it edited and formatted, and posted a free PDF on my website. I also opened an account on Smashwords.com, entered a brief description, and uploaded the cover image and Word document. Smashwords converted the file into formats that people could access with various e-reader devises, and they shared it with other online distributers. Smashwords did this for... free! Because I wasn’t charging for my book, Smashwords didn’t charge me to distribute it. Online retailers such as Amazon were not so accommodating, requiring that I charge so that they could take a cut. If I signed up for their exclusive “Prime” program, I’d be able to list it for free a few days a month, they said, but that required that I list with them exclusively. No thanks; I want to keep my work independent. I want to use online resources to connect with my readers, not have them use me. So, depending on the outlet, 13 Years in America is either listed for free or at a cost. And I’m fine with the discrepancy. Where it’s in my control, I list for free; if the source requires a charge, then I list at a cost. I want to connect with readers, but if I also earn some money from my work, that’s great too. I get a small cut of the charge and, hey, like most writers I dream of making enough money to be able to write full-time. If charging for my book on sites that require a charge brings me closer to that dream, then I’ll roll with it. Just not at the expense of my first priority: to connect with readers. Better question: Why not? Traditional book publishers are shaking in their boots these days, and for good reason. Writers don’t need them anymore! We have new avenues that enable us to retain creative rights and control of our own work and to connect directly with our readers. In essence, we’re able to cut out the middle man. And good riddance. While it’s true that I’ve heard the odd story of writers benefiting from their relationship with their agents and being treated fairly and honestly by their publishers, most are stories of being rejected, exploited, and/or ripped off. The publishing industry’s purpose, on the most part, is to make a profit off the writer’s work and the reader’s money, and it has made millions by standing between the two. That’s not for me. I wrote my book, 13 Years in America, for one reason: to share my story with others. I didn’t write it to strike it rich or get famous. I didn’t want to fit my story into the industry standards and jump through hoops to get an agent and publisher to notice me. I decided that my energy would be best spent on what matters: connecting with my readers. By choosing to be independent, I’m cutting out the middle man. I’m letting the public decide whether to read and how to rate my writing. 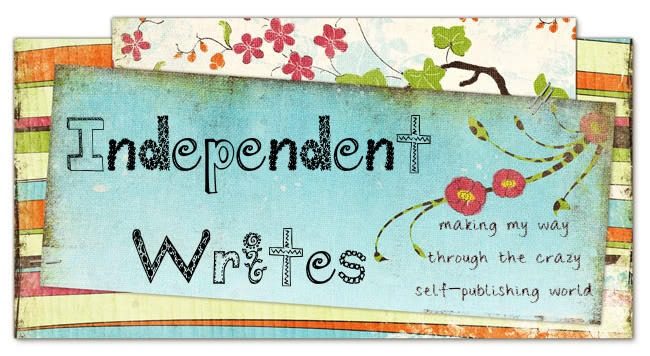 The independent path might not be as easy as turning my work over to industry experts, but it will be a lot more real. A bit about me: I moved to the United States from Canada in 1998 and, after traveling and relocating several times, I settled in Minnesota to earn my master's degree in English. In my free time, which translates to the hours after I put my daughter to bed each night—the hours that most people fill with watching TV or socializing with friends—I wrote 13 Years in America. Now, I’m working to share my story while keeping my focus on what matters: connecting with readers in an honest, authentic way. Please check out my website, and e-mail me at Melsteele.writer@gmail.com. I’d love to hear from you!